In a previous post, I shared the best practices for selecting the right containment solution for pharmaceutical applications. When potent drugs were first developed, the pharma and biotech industry needed to develop contained work practices to protect operators and the environment. This required equipment manufacturers to develop solutions and develop methodologies to validate them. Containment systems are validated in accordance with SAT protocols. 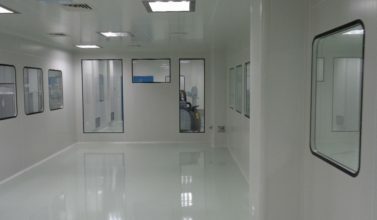 These evaluate containment capability and ability to provide desired levels of cleanliness inside the workspace after the installation of the designed system. Validating containment systems are more complicated as there aren’t any stipulated guidelines or recommendations that have been laid down in one consolidated form. At Fabtech we use practices recommended by IEST, ISO standards and guidelines by ISPE to validate containment systems. 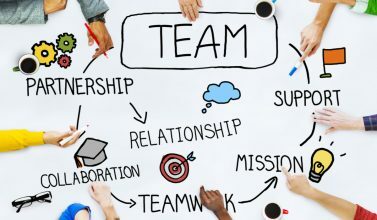 We share and mutually agree on the protocol for validation with our customers in advance and include any specific requirements they have as well. We have listed out the various protocols that form the standard validation protocol for containment equipment manufactured by Fabtech. We hope you can use this list as a guideline when validating your own containment system. This test is extremely crucial as containment system performance depends on it. It is performed using test procedures detailed in ISO 10648 -2 with acceptance criteria for hourly leak rates. Containment systems are classified as Class 1 – Class 4 on hourly leak rates. This is a basic test performed to ascertain the cleanliness levels inside the containment chamber. It is a velocity measurement test performed using IEST recommended practice as a reference guideline for both negative pressure and positive pressure containment systems. IEST recommended practices give detailed procedures to measure the velocity across the HEPA/ULPA cross-section and average velocity calculation with acceptance criteria. Specific velocity measurement at a prefixed location is mutually agreed, and the system is designed accordingly to fulfil these criteria. This test is performed to ensure proper fixing of the HEPA filter and ensure HEPA media is free from any damage. The HEPA integrity test is performed based on the procedure described in IEST recommended practice using PAO or any other approved aerosol generating liquid. Fabtech has developed a unique portable ventilation system to inject and scan the exhaust HEPA/ULPA filter in case of the negative pressure containment system. We have standardised flat HEPA over cartridge HEPA for ease of integrity testing and related issues. 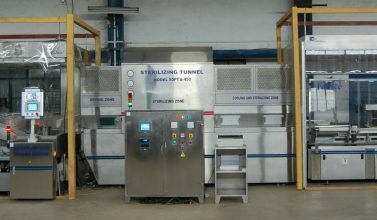 This test is performed to ensure proper cleanliness level in the working chamber as required during process manipulation. This test is performed using ISO14677 as a reference standard. The number of locations for sample collection are decided per standard or as mutually agreed with the customer. Particle count results are correlated with cleanliness level particle limits as specified in the ISO standards for airborne particulate matter. This test is performed to ensure the added protection of person and environment for negative pressure containment systems, and products for positive pressure systems by system design itself while ensuring appropriate hourly leak rate. The pressure gradient is also regulated in individual sections depending on process requirements. The differential pressure of containment chambers with respect to ambience and pressure gradient within the containment chamber is mutually decided after careful analysis of process and ease of manipulation. The breach velocity in case of negative pressure has to conform to ISO 14644-7. This test is performed to see air flow pattern within the containment system. This test is particularly crucial for aseptic applications like injectable filling – rubber stoppering, capping and lyo loading-unloading of vials for positive pressure systems. This test demonstrates the effectiveness of the air management system and offers clear indicators of process protection per manufacturing guidelines. Airflow pattern tests are recorded for documentation. This test is performed to illustrate sufficient illumination level and uniformity of illumination for process manipulation. It is performed per IEST guidelines. The normal light intensity level is maintained at 400 Lux unless a higher value has been decided on in specific cases. This test is performed to ensure sound emitted from the system are per IEST recommended practice. Noise levels are verified against OSHA time-weighted average (TWA ) exposure limit over a period of time. Sound levels should be less than 70db on scale A per IEST recommended practice. This test measures temperature and moisture inside the containment chamber to ensure process requirement compliance over an extended period of continuous operation. The system design should be able to achieve and sustain targeted temperature and moisture values. It is carried out as detailed in IEST recommended practice or mutually agreed on protocol. The purpose of this test is to ensure containment system can maintain microbiological level as defined in ISO standard for that particular class. These controls and interlocks are designed to ensure safe operation of process equipment with adequate protection of person and environment in case of an abnormal situation. This verification is a containment system and process machine-specific control system test on mutually agreed control, monitoring and interlock systems as defined during design qualification. Verification is conducted in a sequential manner against an approved protocol. This test is performed on the entire contained manufacturing process to ensure person and environment are both protected. It is conducted by a certified industrial hygienist using surrogate materials. The entire manufacturing process is assessed, and sample selection locations are selected carefully. Background sample, personal breathing zone sample/static sample, swab samples are collected and analysed in a laboratory accredited by the American Industrial Hygiene Association. The results are analysed and documented. The value should be below the targeted OEL value. Our team would be happy to answer any questions you may have about the validation protocol for containment solutions. Use the form below to reach out.